I have had such a taste for Mexican foods, I think it has something to do with my recent segment taping with Karen Meyer of ABC at Carnivale last week (will keep you posted on the air date). I also have this recipe from Rick Bayless that I have been dying to try… most importantly, it’s tomato season, don’t worry - this recipe calls for canned tomatoes, so you can make it year round! Rick’s recipe originally contained coarsely shredded chicken, but I had some pulled pork leftovers so I changed it up, use equal amount of chicken for equally tasty results. Add 1 tablespoon olive oil and heat for one minute. Cook onion and pepper until tender and light brown, for about 5 minutes. Stir in salsa, tomatoes and vinegar. Simmer, stirring until thick, for about 5 minutes. Stir in shredded pork and cook to reheat, remove from heat and cool. Season with Kosher salt as needed. 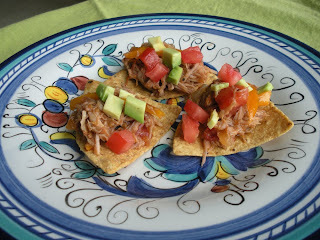 Top each tortilla chip with a heaping tablespoon of pork mixture, a few pieces of avocado (guacamole works great too! ), tomatoes and cilantro, serve immediately. Next post: Support groups, blogs and other resources for savvy allergenistas! Don’t forget to buy your tickets for our September 12th Safe and Sound Dinner at DaLuciano’s – tickets almost sold out. Come try multiple dishes and lots of treats to take home. New additions to our gift bag! 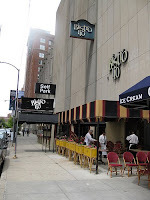 Bistro 110 is run by Chef Dominique Tougne, last year’s Food Allergy Initiative (FAI) Celebrity Chef at their FAI Annual Event and parent of a child that suffers from allergies. Bistro 110's chefs, wait staff and managers have been trained by Chicago’s Children's Memorial Hospital about food allergies, so the restaurant can prepare your meal with special care regarding cross-contamination and other safety precautions. Don’t forget when you go to Bistro 110 or any other restaurant to download our restaurant safety sheet, it travels with your order thru the kitchen and makes sure your food stays Safe & Sound. Ok, so Chicken Fajita Salad isn’t French, but I had some left over chicken, and roasted red salsa… I just couldn’t resist! Mix paprika, garlic powder, cumin, Kosher salt, ground black pepper and chili powder. Set aside. Heat saute pan over medium high heat. Add olive oil and heat for one minute. Add onions and peppers and cook until soft. Add 1 tablespoon of spice mix and stir thoroughly. Add chicken to pan and cook until heated through. Add another tablespoon of spice mix to pan and mix to incorporate. Cut lettuce into bite-size pieces and put in a bowl. 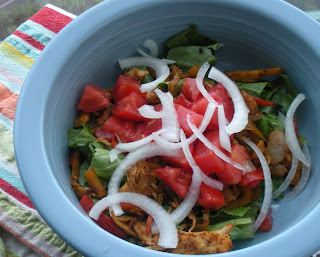 Add fajita mix to bowl and top with tomatoes, onions and fire roasted salsa. 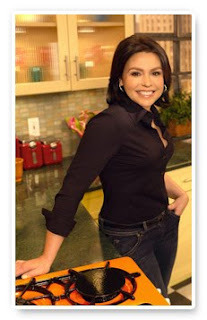 YUM-O - Rachael Ray Comes to Chicago & a Special Recipe from Top Chef Masters Rick Bayless, Naturally Allergen Free! I just got back from Rachael Ray’s block party and live taping for her show. It was a blast! This was a wonderful event with the focus on healthy eating and cooking with demonstrations by Rocco DiSpirito, Art Smith and Chicago’s favorite son and Top Chef Masters Winner Rick Bayless. I got a moment in front of Rachael and asked her to add more allergen free recipes to her show, she asked me what I cook free of, I told her the 8 major allergens and gluten and she said, “What do you eat?” So even someone who cooks and develops recipes for a living thought we might be missing out, but not so! Rachael promised to look at more food options for us, keep an eye out allergenistas! I also got to meet the last two winners of the Biggest Loser, Ali Vincent and Helen Phillips (they are tiny), their lives have completely changed since the show, we were talking about how if anyone told us what our lives would be like a few years earlier, we would have never believed them. Before I was diagnosed with food allergies, I was an Account Executive for a national mortgage lender, dealing with the grind of every day life shoveling foods that made me sick into my mouth. I so love helping people with food allergies, I, like Ali and Helen, have dedicated our lives to helping people become healthy and we both lost a lot of weight to boot! Meeting them has really inspired me to take off these last 25 pounds, the goal date is my 40th birthday on September 23rd, hold me to it! In Spanish this dish is called Mojo De Ajo; it is a wonderful base for many applications and translates to “Bath of Garlic” it’s much easier to make than to remember the Spanish name! Take garlic, put it in a plastic bag and lightly crush with a rolling pin or meat tenderizer. 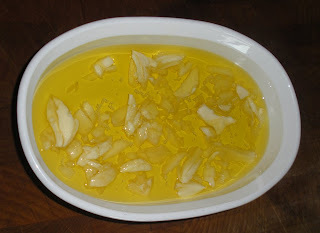 Place garlic in a baking dish and cover with olive oil and salt. Bake for 40 minutes, remove and squeeze lime over garlic. Place dish back in oven for another 15 minutes. That’s it! You can store this in your refrigerator for a couple of weeks. Now, how do you use it? You can use it with any meat or on salad. By roasting the garlic, all of the bitterness disappears leaving a sweet tasty garlic. Rick topped potatoes, salmon and cilantro wrapped in a banana leaf with this garlic mixture for a light and flavorful grilled meal. If fish isn't in your diet this topping also goes well on beef, chicken or pork. Enjoy! 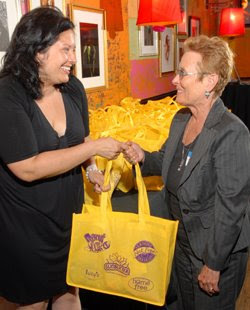 Look for me in the crowd during the September 14th airing of Rachael Ray’s show! 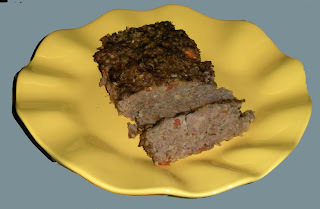 A Quick Prep Meatloaf your Kids will Love! I have been playing with meatloaf without egg and breadcrumbs, I made this version with potato chips instead and the egg wasn’t even needed, it held together just fine. I had my brother (sans allergies) test if for me and he had three slices after eating a whole meal. I hope you enjoy it too, you can also add other fillers, try roasted red peppers, sun-dried tomatoes instead of fresh - there are so many options for this family classic. Mix all items together and shape into a 9” x 5” loaf pan. 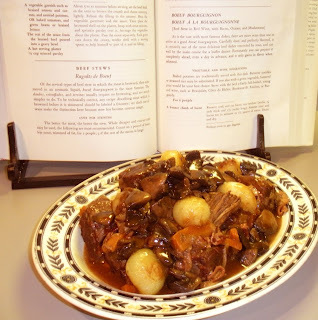 Butter, Schmutter, Enjoy Julia Child’s Boeuf Bourguignon Allergen Free! I saw Julie and Julia over the weekend and was inspired to adapt some of Julia Child’s classic French dishes to be allergen free. I want to tell you that the way they depicted making this dish in the movie was a little more simple than it is, the movie made it look like Julie dried some beef, threw in some wine, put it in the oven and voila! If you want to follow Julia Child directly, there is a bit more to it, nothing we can’t handle, just give yourself some time to make this recipe. With that said, it is soooo delicious, I didn’t even miss the butter! Boeuf Bourguignon adapted from Julia Child’s Mastering the Art of French Cooking to be Free of the 8 Major Allergens and Gluten. Julia recommends boiled potatoes, noodles or rice as a side dish. In a sauce pan, bring 1 ½ quarts of water to a simmer and add bacon for 10 minutes, remove from water and reserve. Place a stock pot or dutch oven over medium high heat for 1 minute. Add olive oil and heat pan another minute. Place bacon in pan and brown, about 3 minutes and set aside. Add another tablespoon olive oil to the pot with bacon fat. Take beef cubes, thoroughly dry and add to pot. Brown beef cubes on all sides and reserve with bacon. In same pot, add carrots and onions and cook until browned. Pour out excess fat from bottom of pan and return beef and bacon to pan. Add Kosher salt and ground black pepper. Sprinkle gluten free flour over mixture in pot, stir to thoroughly mix. Place stock pot in oven for 4 minutes, remove, stir beef mixture and place in oven another 4 minutes. Remove pot from oven and reduce heat to 325°F. Push meat and vegetable mixture to the side and add tomato paste to bottom to brown slightly. Add wine and beef stock as needed to just cover the beef. Add garlic, thyme and bay leaf and bring to a simmer on the top of the stove. Cover stock pot and place back in oven for 3 hours or until beef pulls apart easily with a fork. While beef is cooking, take a saute pan over medium heat and add 1 tablespoon olive oil and heat for 1 minute. Add mushrooms and saute until browned, reserve. In a sauce pan, bring water to a boil. Add onions with skin on for 1-2 minutes. 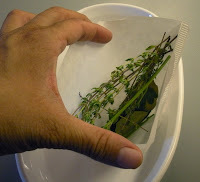 Remove from boiling water and immerse in ice water. Once cooled, cut ends of onion off and skin will slide right off. Place a saute pan over medium heat for one minute. Add 1 tablespoon of olive oil and heat for 1 minute. Add onions and brown on all sides as evenly as possible. Take parsley stems, bay leaves and thyme and place in a cheesecloth. If you don’t have cheesecloth, use a coffee filter and fold over. Take onions and herb mix and add in a shallow baking dish. Add beef stock so that it covers onions 2/3rd of the way. Place in oven and cook for 40-50 minutes, turning a couple of times. Once meat is tender, strain sauce from stock pot and put in a sauce pan over medium high heat. Reduce sauce until light nappe. This means that the sauce holds it’s shape on a spoon when you run your finger thru it. Put onions and mushrooms over beef mixture in a serving bowl and top with reduced sauce. Eliminate simmering of bacon before browning. Once onions are sautéed, add them to beef mixture after 1½ hours with herb packet. The flavors of the onion are better with their own taste, but in a pinch it works! Come see me cook at the Whole Foods Market in Naperville. August 18, 2009 - 7:00 p.m. The first pick for August is Ian’s Pizza Kit, it includes the spices, the sauce and crust that can be made in a snap. This product is wheat, gluten, casein/milk, soy, egg and nut free. We topped our pizza with leftover bruschetta and chicken breast we had handy, and loved it. 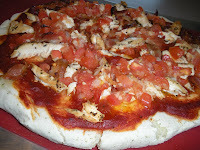 The dough is easy to assemble and the sauce is tasty, to find where this product is in your area, go to www.iansnaturalfoods.com. Giving you the right questions to ask to make sure your food is prepared safely. Thanks so much Kim for this great new tool! As a person that loves to eat out, a program like this is invaluable. 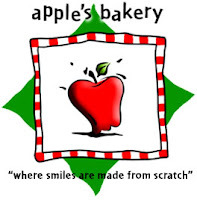 For more information, visit the Apple’s iTunes Apps Store or www.allergyfreepassport.com. Don’t forget to download your restaurant safety sheet when dining out, fill it out and have it follow your order thru the kitchen as an extra precaution. Reservations for September 12th Safe and Sound Dinner at Da Luciano’s are being taken, don’t miss out on this Italian feast allergen free (sorry allergenistas, this menu contains egg and soy). When it comes to dairy-free cheese, I’ve always been a bit of a snob. I’ve never found cheese alternatives that tasted close enough to real cheese to be worth it. Well allergenistas, I now stand corrected! During a recent visit to Da Luciano’s, a bustling Italian trattoria in suburban River Grove, I experienced their incredible, mouth watering gluten-free pizza with rice cheese! 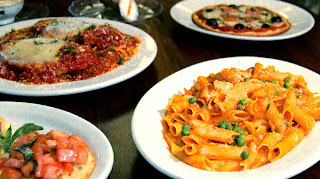 In fact, everything I sampled at gluten-free DaLuciano’s – Bruschetta, Pasta Arrabiata and Italian lemon ice -- left me craving more, and more importantly, was safe for me to eat. Da Luciano’s is the spot for our next Safe & Sound Dinner, at 1:30 p.m. Saturday, September 12th. Advanced reservations required - $50 per person. Our special family-style Italian feast, created by owners Rosalia, Luciano and Ignazio Libreri, gives us the chance to try multiple dishes, including pizza, eggplant parmesan and other Italian classics (rice cheese will be available for dairy allergies). NOTE: Many apologies to those of you with egg or soy allergies, many dishes in this menu contain those ingredients. Full menu below. There are only 40 seats available at Da Luciano’s and we already have 10 people signed up, don’t wait to reserve your seat today! ATTN: This menu contains egg and soy.